Confident and successful feeding starts with a clear blueprint. ✅Your toddler is refusing to try new foods and you worried about picky eating habits. ✅You are feeling stressed at meals and want to create a more pleasant environment. ✅It is difficult to figure out how much and what to serve your toddler. ✅You searched the internet for answers, but are unsure what will work for your unique child's needs. Feeding toddlers is hard! However, it is a pivotal time in your child's development. How you respond to everyday situations such as food refusal or pleas for a favorite show during meals, will have a profound impact on your child eating. Unfortunately, most parents don't receive comprehensive education on how to feed. There are clear and effective feeding strategies that help children to try new foods. But, without an understanding of the framework of how to apply these strategies, well-meaning parents get stuck. You can get un-stuck and learn the simple and effective strategies for successful feeding. 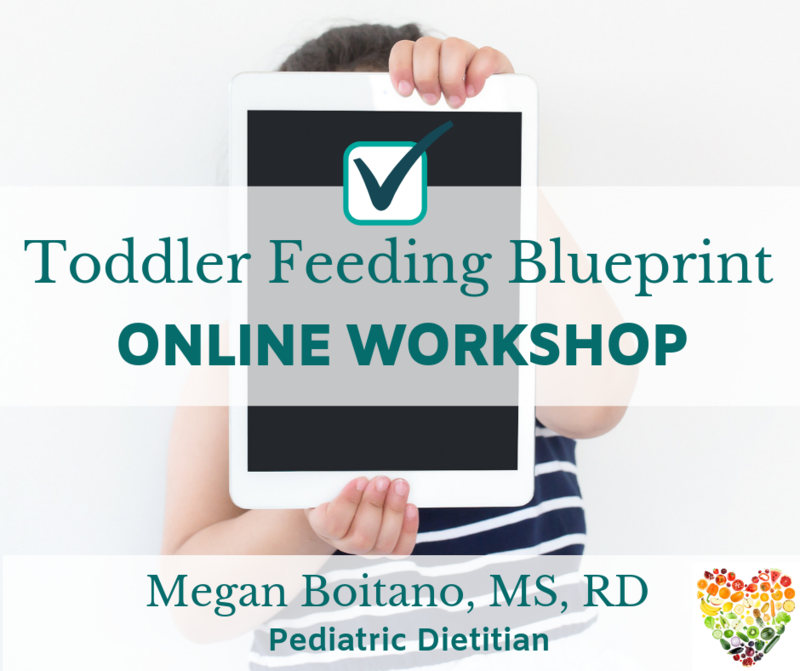 This is a LIVE, 60 minute online workshop taught by pediatric nutrition expert and feeding specialist, Megan Boitano, MS, RD, LDN. You will also receive a recording of the workshop which will be accessible for 30 days after the event.